Browse listings for Love Beach Real Estate in the Bahamas below. Homes in Love Beach include condos and single-family houses, and most properties offer spectacular ocean views. Located only 5 minutes from the Lynden Pindling International Airport and 18 minutes from downtown Nassau, residents also enjoy convenient access to other islands and amenities. Browse all Love Beach real estate listings below, or keep reading about the beautiful homes for sale. Love Beach real estate includes beachfront estates with beautiful views, oceanfront condos offering a wealth of amenities, and numerous vacant lots for both commercial and residential use. Upscale homes are available with spacious living spaces and private amenities such as a pool. Condos can be found offering a fitness center, swimming pool, beach access, and gated entry. Love Beach also has plenty of beachfront land just waiting for homebuyers to build their dream home on. Love Beach is a beautiful location for snorkeling. Located only a mile offshore, a stunning 40-acre coral reef can be found in clear, shallow waters with plenty of sea life. For those who would prefer to bask in the sun, Love Beach offers a mile of pristine, sandy beach for lounging. Interested in viewing Love Beach homes for sale? 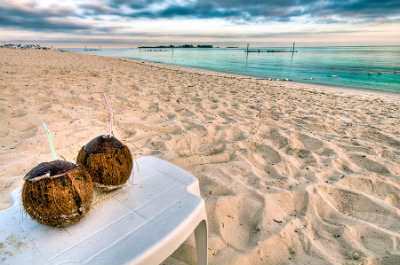 Our agents are experts on The Bahamas real estate market and will be happy to answer your questions. Contact Dupuch Real Estate online or call 242-393-1811 today!